Hi! 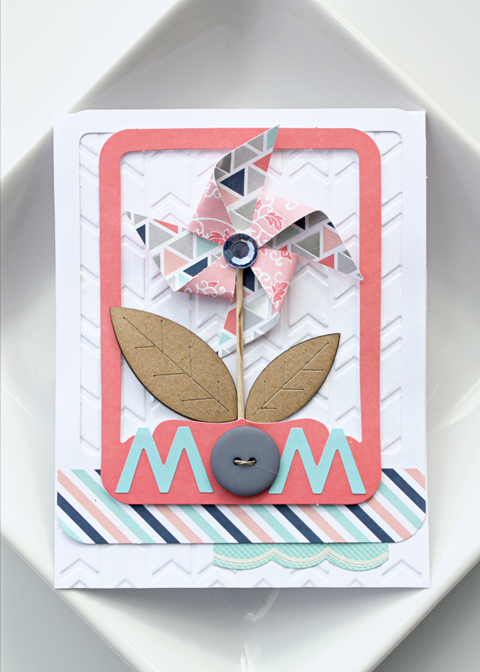 It's Kelly here today to share with you a sweet little pinwheel card that I made for Mother's Day using the Forever Sassy collection. 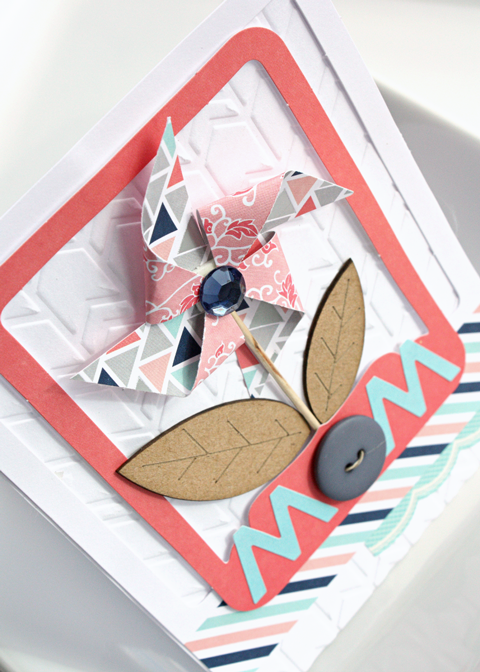 For the pinwheel, I cut a 2x2 piece of patterned paper, and cut almost to the center from all four corners. I added a small piece of foam tape to the center, and folded down every other corner, and topped with a gem. I jabbed a toothpick into the foam tape for the stem, and secured the whole thing down to the top center of an embossed card base. I arranged two different sized frames around the pinwheel - popping the top one up. 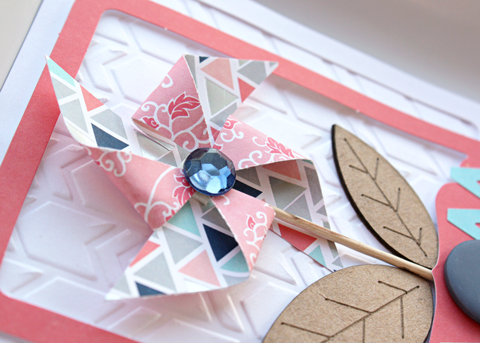 A couple of chip leaves added to the base turned the pinwheel into a flower. To finish up, I added the sentiment to the top frame using a button for the 'O', and just a small piece of scalloped border sticker to the bottom frame for the final touch.